The Antwerp Courthouse, nicknamed “the butterfly palace”, is a building in the south of Antwerp, near the Bolivarplaats. It was designed by the British modernist architect Richard Rogers, who is also the creative brain behind famous buildings as the Centre Pompidou (Paris) and the Millennium Dome (London). The Palace of Justice in Antwerp is commonly considered to be one of Belgium’s 21st century architectural highlights. The Court of Appeal and the Labor Court are still housed in the old Palace of Justice at the Waalse Kaai. The Court of Assize is located in the courthouse at the Britselei. 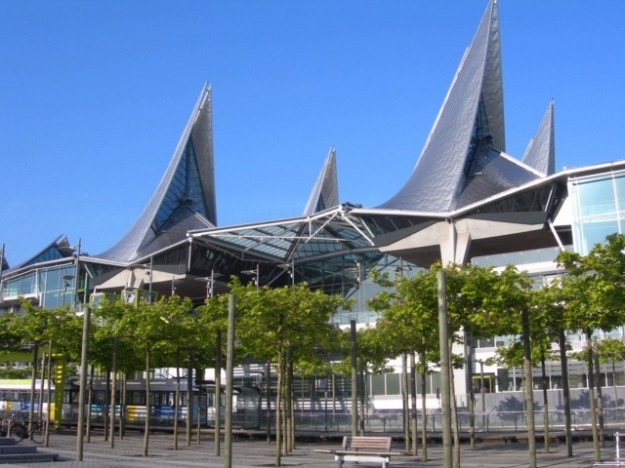 The Palace of Justice was inaugurated on 28 March 2006 by King Albert, Minister of Justice Laurette Onkelinx, Minister of Finance Didier Reynders, governor Camille Paulus and mayor Patrick Janssens.